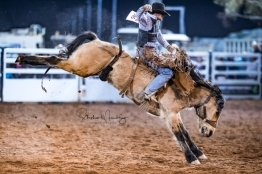 TWO New Year’s Eve Rodeos are planned in Queensland in the Australian Professional Rodeo Association. Less than two months after the Warwick Rodeo APRA National Finals, riders are back chasing pro tour prizemoney to boost their chances of qualifying for next year’s national finals. The top 15 riders on the pro tour to September 30, 2019, will qualify for the national finals. Eight events are contested at the national finals, three rough stock events, three roping events, steer wrestling and ladies barrel race. There are nine rodeos on the Christmas Run in New South Wales, Victoria, South Australia and Tasmania from Boxing Day to January 5. There is only one rodeo in the south, Smithton in Tasmania, on New Year’s Eve and some competitors are likely to fly back from the southern states to go for prizemoney at Mitchell. 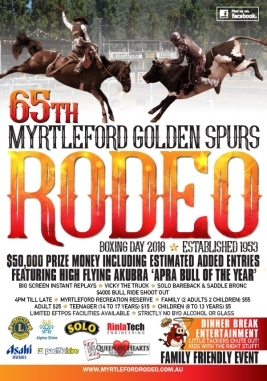 For the second time, there will be an APRA New Year’s Eve Rodeo at Mitchell in Queensland. One of the riders to watch on New Year’s Eve will be experienced Mitchell saddle bronc rider Greg Hamilton. Jane Willoughby hails from Brigalow on the Western Downs and will be one of the favourites in breakaway roping. Some of the best bull riders in the nation will be at the Great Western Hotel in Rockhampton on New Year’s Eve for an Xtreme Bulls Rodeo. 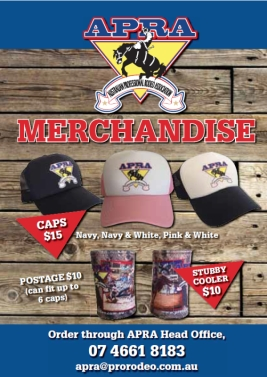 The stock for Xtreme Bulls events are provided by Upper Horton, New South Wales contractors, Malcolm and Eddie Gill. Central Queensland rider Brady Fielder was the only cowboy to ride time on two bulls at the Warwick Rodeo APRA National Finals and was only a split second from riding a third bull to time. If Fiedler chooses to compete on New Year’s Eve in a rodeo in his own region, he will be the favourite. Rothbury (NSW) cowboy Jason O’Hearn was the only rider to make time on his bull at the K Ranch Christmas Rodeo at Mt Hunter (NSW) and will be hard to beat at whatever rodeos he contests in the next six weeks. Yass (NSW) rider Clay Bush had two wins and a third at the K Ranch Rodeo but won’t get it all his own way on the December and January rodeos as Shane Kenny (Emerald, Qld) and Lee Kimber (Lockington, Victoria) also won at K Ranch. APR A riders will have one of the few extended breaks from action up to Boxing Day.